Wedding rings...and why they're given. 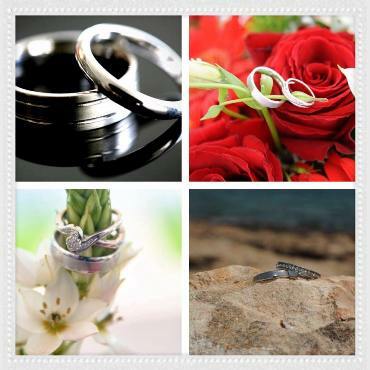 Nobody actually knows when the giving of rings became a tradition on your wedding day, some say it started as much as 4800 years ago in ancient Egypt when rushes and reeds were braided into rings as decorative ornaments worn by women. Wedding rings through different stages in history have been worn on different fingers, on both the left and right hands. In most western cultures, it is worn on the 4th finger of the left hand and according to tradition this is believed to have been derived from the Romans. The reason they say it is worn on this finger is because it is thought to be the vein in this finger is directly connected to the heart. However, scientists have shown that this is actually false. A more practical theory is that by wearing a ring on this finger/hand is because you are less likely to damage or injure yourself (as most people are right handed), and, this finger is least used.